Need a Personal Injury Attorney in Long Beach, CA? Long Beach personal injury lawyers Daniel McGee and Catherine Lerer are a husband and wife attorney team. We (not an answering service!) pick up the phone 24/7 to answer your questions and guide you through this time of uncertainty and stress. You benefit from our 40+ years of combined experience and our singular focus on representing accident victims. Our firm specializes in serious injury and wrongful death cases, and we have a track record of multi-million dollar verdicts and settlements. 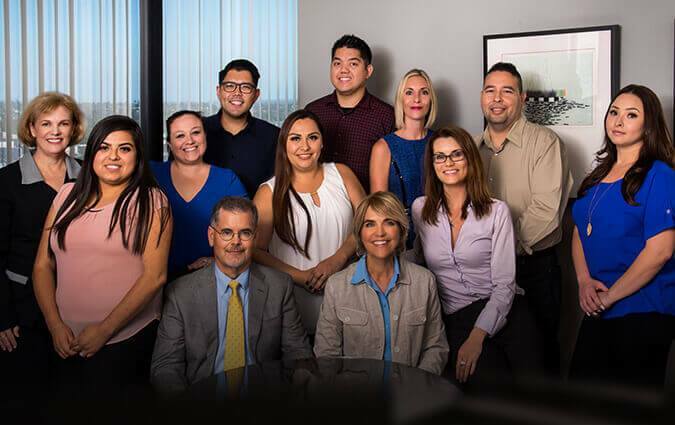 Our accident attorneys serve clients, including Spanish speaking clients, in Long Beach, Carson, Lakewood, Bellflower, Los Alamitos, Paramount, Artesia, Cerritos, Gardena, Norwalk, Downey, South Gate, Lynwood, Buena Park, Compton, Inglewood, Torrance, Hawthorne, San Pedro, Seal Beach, Rossmoor, Signal Hill, Bixby Knolls, Westminster, the South Bay, and neighboring communities. Our firm is dedicated to achieving for our clients the compensation necessary to safely recover and establish a brighter future. Watch videos from our previous clients share their experiences with our firm. View our FAQs to learn more about personal injury cases. We combine our decades of experience to win for our clients.